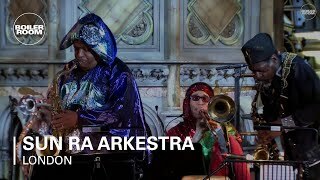 Sun Ra was one of the greatest and least known jazz artists of the last four decades. Composer, bandleader, pianist, poet and Afro-Futurist philosopher, he founded his Arkestra to take jazz into unexplored territories – his style drawing simultaneously on black vaudeville, modern dance, Egyptian cosmology, Eastern philosophy, surrealism, kitsch, and the Bible. The Arkestra performs today led by 94-year young alto saxophonist and long-time Ra collaborator Marshall Allen. The mischievous brass blasts and the grooves keep rolling, as the big band – fully dressed, as usual, in space capes with a hint of Ancient Egypt – takes off once again in a joyous burst of tightly organised madness. Soul and Jazz driven beats with smooth, philosophical lyrics, that is the signature sound of 90’s Hip-Hop and the signature sound of one of the most influential and critically acclaimed acts of the era: Pete Rock’s complex sound used the Funk sampled by the previous generation of Hip-Hop pioneers and added a layer of Jazz that is his defining sound.